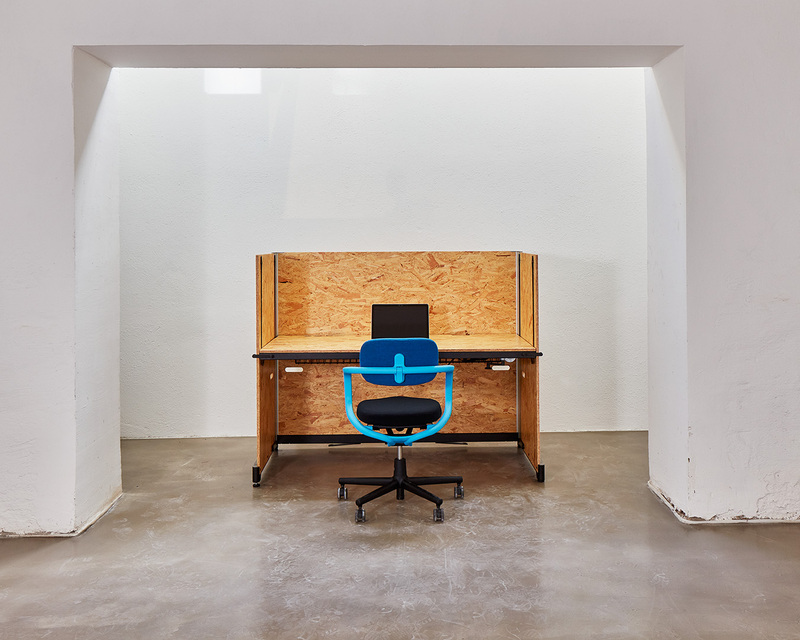 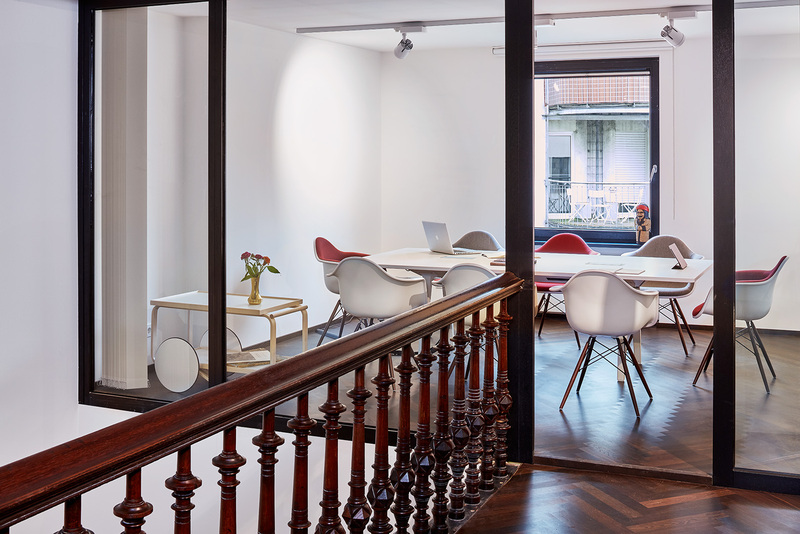 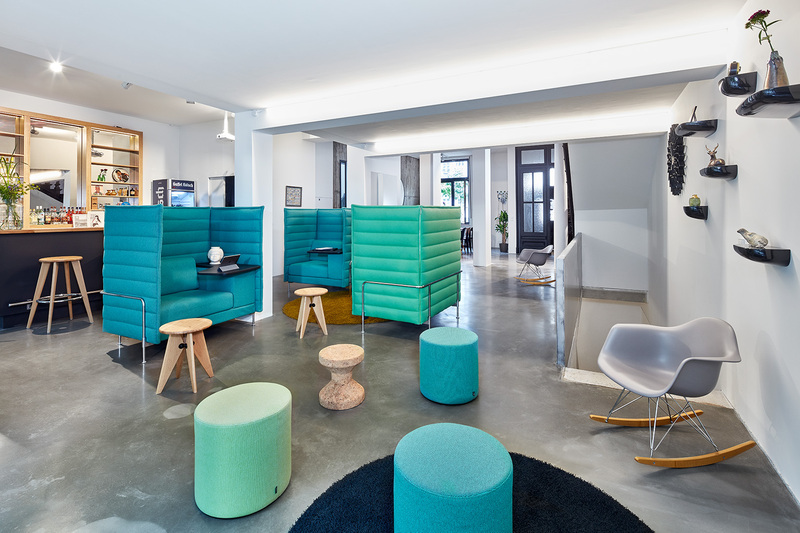 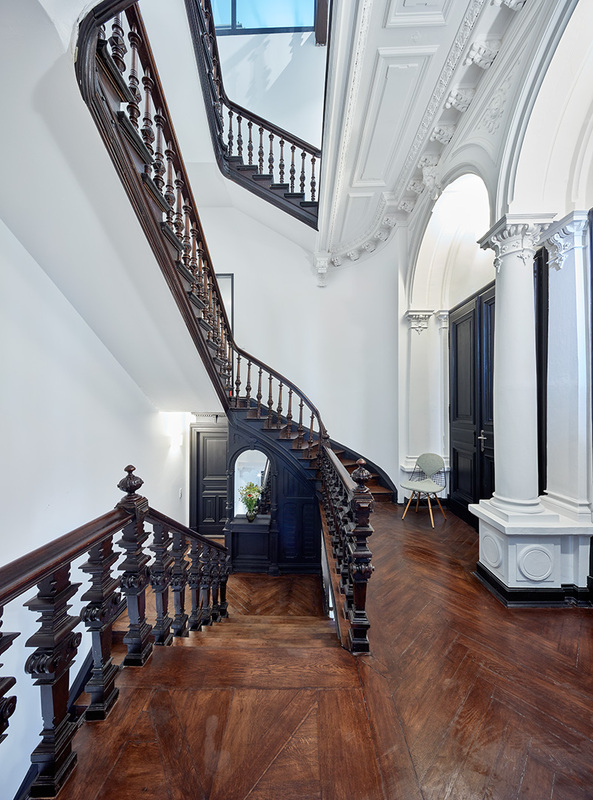 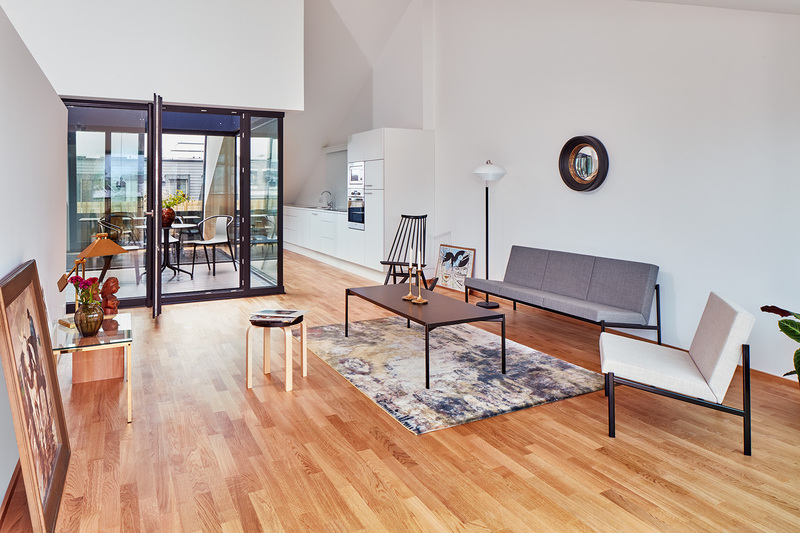 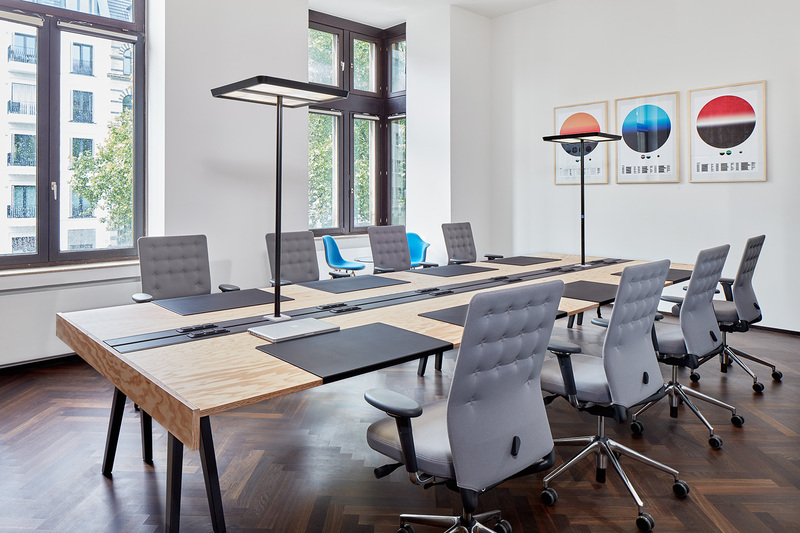 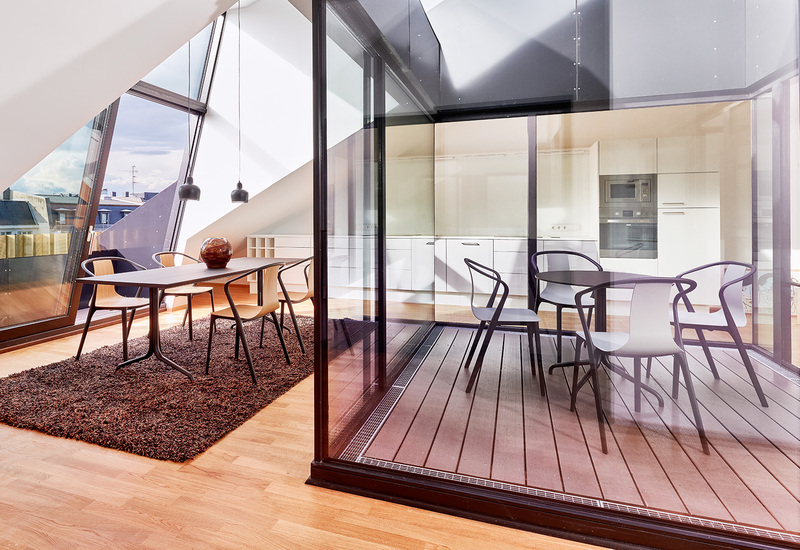 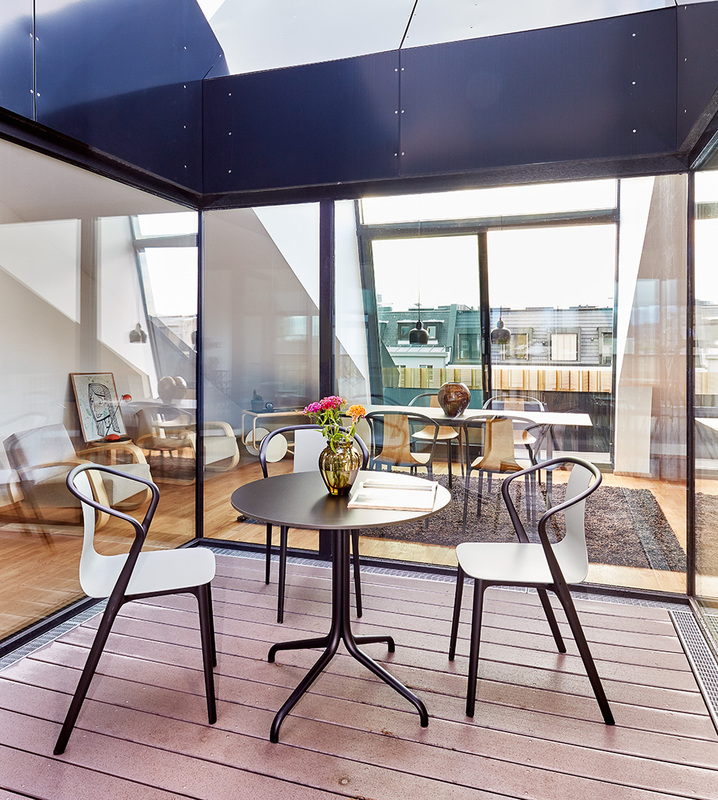 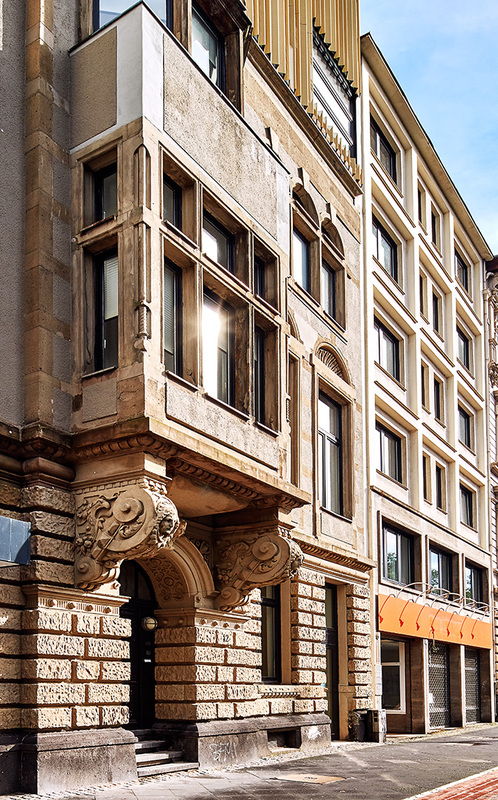 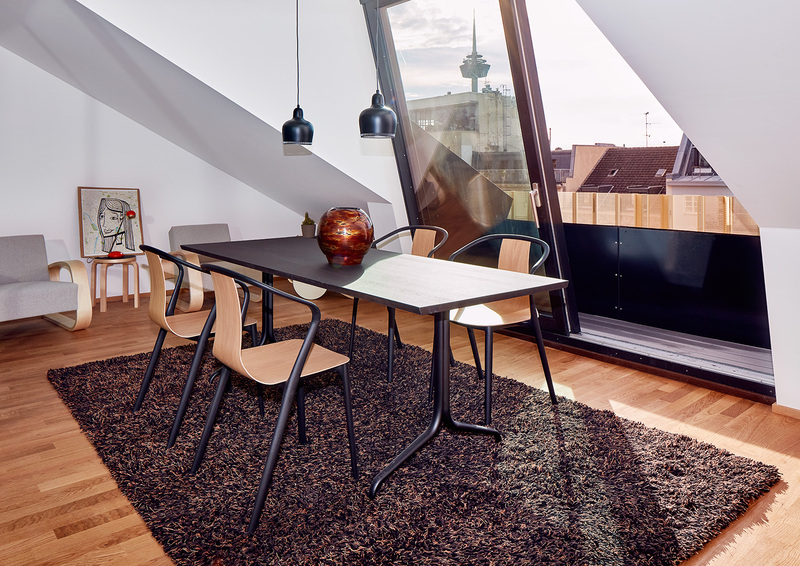 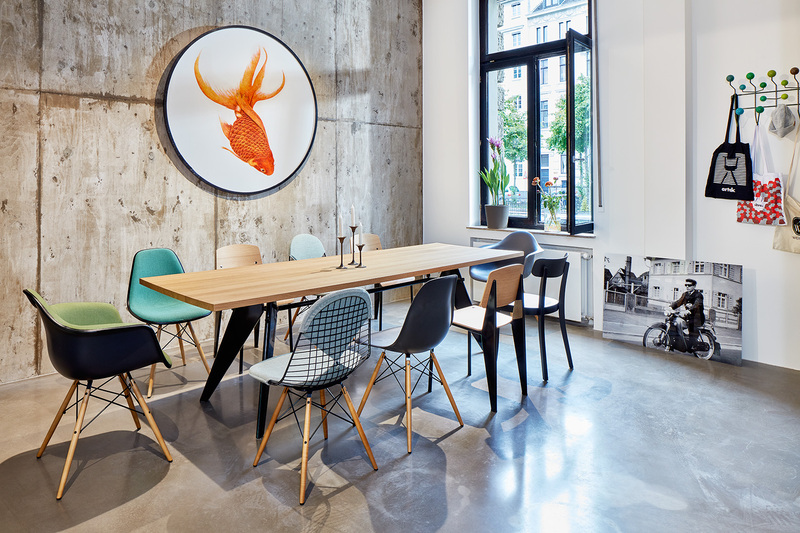 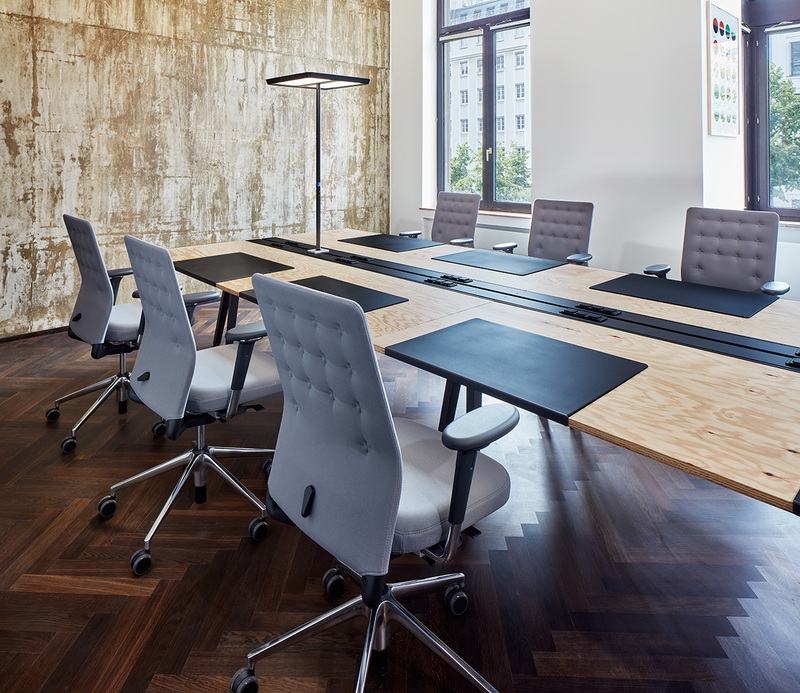 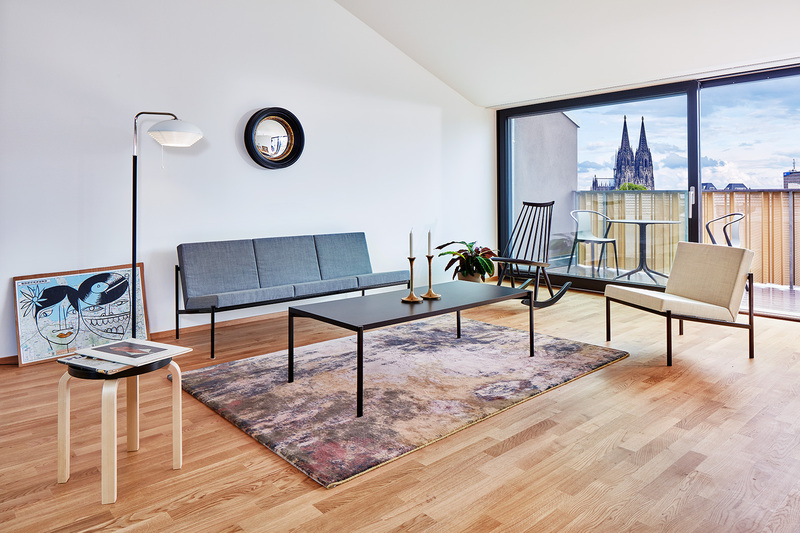 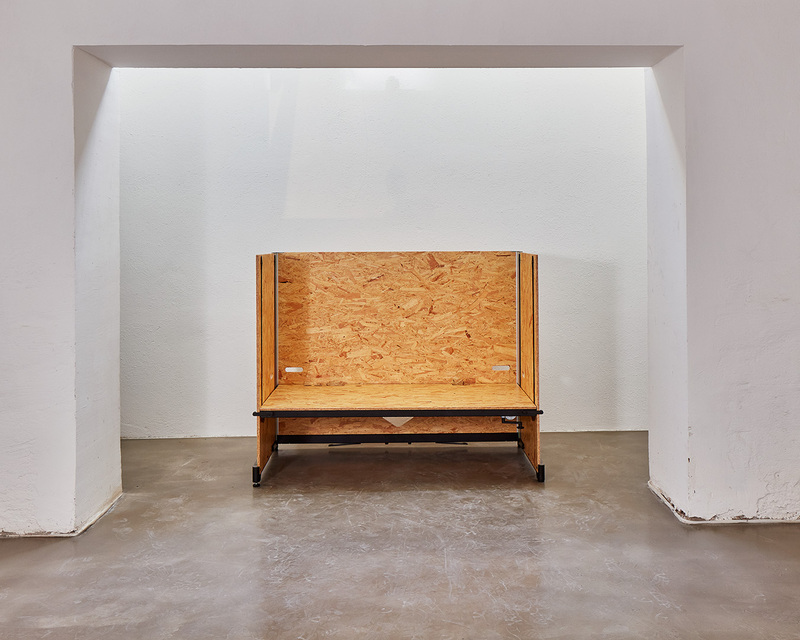 "The family company offers coworking areas, event spaces and serviced apartments in a refurbished 19th-century building in Cologne. 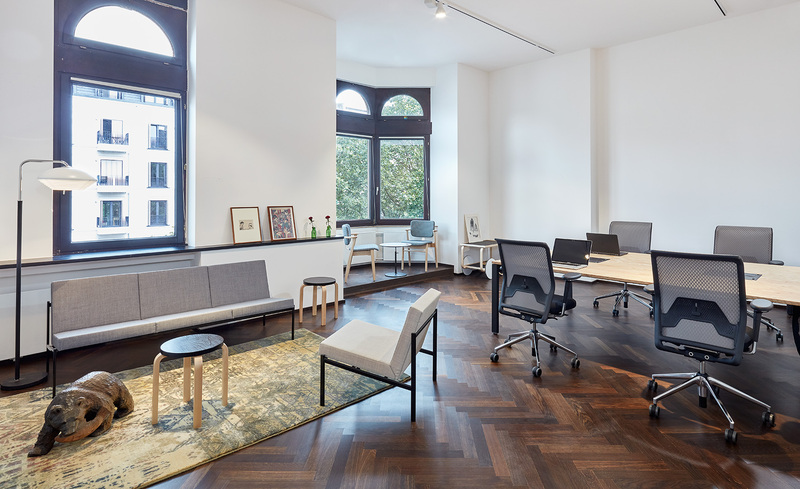 When planning the interior, the aim was to complement the classic, elegant architectural style with high-quality yet unpretentious furnishings to create a functional working environment that also emanates home-like comfort. 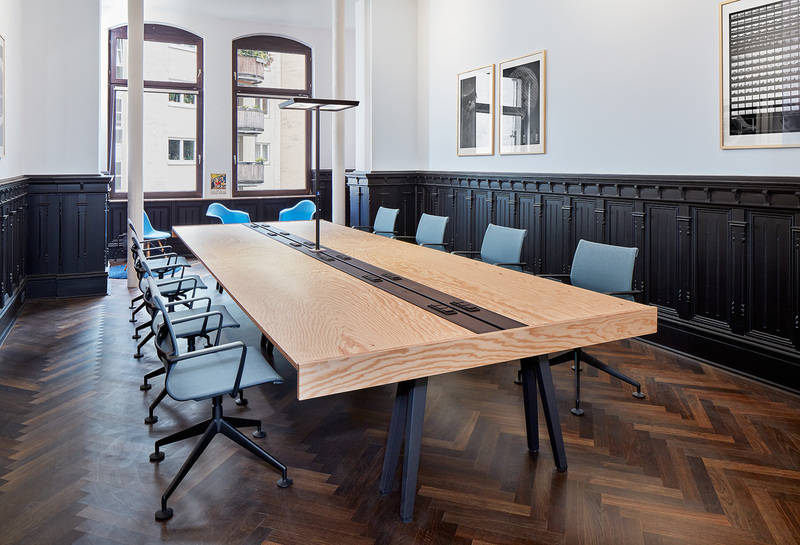 The large Joyn tables with maritime pine tops generate a workshop-style character. 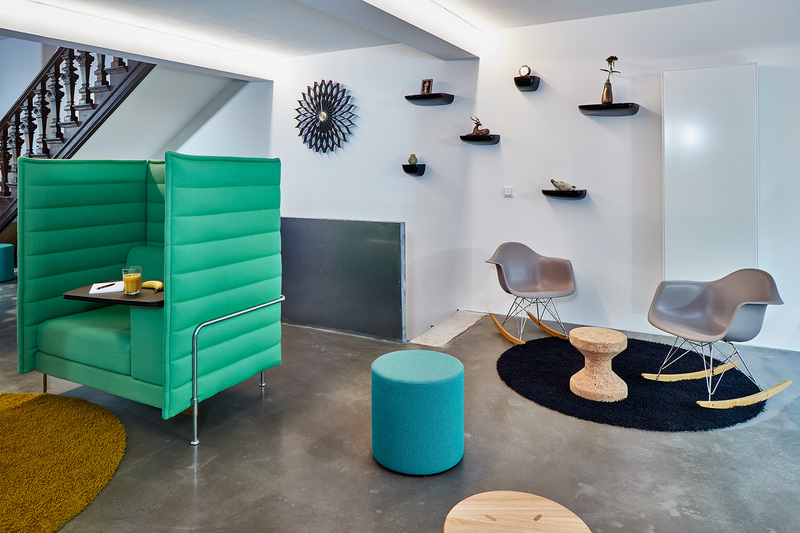 The different spaces offer versatile options for individual or team work and form a harmonious overall environment with additional services, such as a cafeteria, terrace and private retreats.